This lodge is an imaginative re-creation of a traditional African Village set in the heart of a coffee estate in the foothills of Mount Meru, with great views of Mounts Meru and Kilimanjaro. Just 10 minutes from Arusha and 20 minutes from Kilimanjaro International Airport, the lodge is the perfect place from which to take a safari to the National Parks or Kilimanjaro and Meru trekking. The lodge has 38 romantic “rondavel” huts that house the luxury guest rooms, and 4 suites, set in beautiful gardens. Every room has a private bathroom with shower, and the suites also have baths and private verandah overlooking Lake Duluti. The restaurant serves international cuisine. Guests may also enjoy a relaxing walk or bicycle ride around the lake, or canoeing across it. L’Oasis offers a uniquely designed viewing of Mt. Meru, within a setting of beautiful gardens and lawns with waterfowl, while enjoying the fountains and mature trees. The lodge is located only a few minutes from Arusha town. Rooms are in the main buildings and in beautiful bungalows set in the gardens. 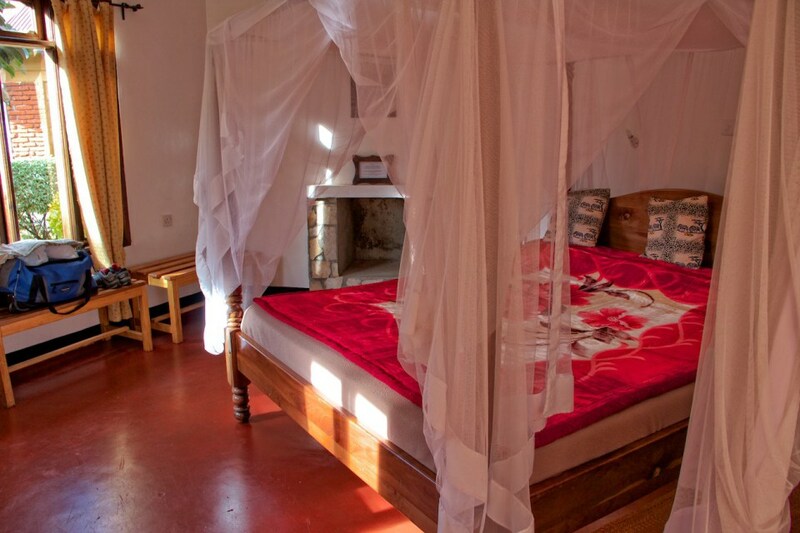 All 22 rooms are en suite, with large beds, mosquito nets and small verandah. The intimacy of the friendly service is appreciated as well as the guest’s privacy. It is an ideal starting point for your safari to the National Parks or Kilimanjaro and Meru trekking. The lodge features a restaurant and a bar, as well as a conference hall, which can host up to 120 people. The cuisine features Thai and Indonesian specialties and a variety of international dishes, both vegetarian and non-vegetarian. There are three different venues for dining, or you may dine in Arusha! Built at the tip of the Great Rift Valley, 4,500 feet above sea level, the lodge offers magnificent panoramic views of the National Park below, which is home to countless colonies of pink flamingos, pelicans and many other birds. The hotel has 100 comfortable rooms, a swimming pool, a superb terrace, and a gift shop selling Tanzanian art. All rooms have an outstanding view over the Rift Valley and Lake Manyara. The restaurant is supplied daily by local farm produce and the bar is a warm and cozy spot to relax in and taste delicious cocktails. It is difficult to imagine a more spectacular setting for this lodge on the edge of the Mto wa Mbu escarpment, overlooking the Great Rift Valley and the stunning Manyara soda lake. The extraordinary bird life has made this place world-renowned among ornithologists, who come to observe the masses of pink flamingos and great birds of prey. The abundant bird life inspired the designs of the lodge, with its swooping curves, complemented by soft, geometric patterns; striking murals depict bird migration patterns. The circular shape of the buildings is a tribute to indigenous architectural traditions in Tanzania. Beyond the superb standards of hospitality offered, there is a spirit of tranquility that prevails. The lodge is comprised of 67 luxury rooms. Established in the early nineteen-twenties as a coffee farm, Gibbs Farm Lodge has retained the charm of life in East Africa during the halcyon days. Nestled against the slopes of the Ngorongoro Eastern Highlands, this charming coffee plantation and farm makes an ideal start and end to your Safari. The lodge is conveniently situated between Arusha, Ngorongoro Crater, and the Serengeti. Originally the home of the current owners, Gibbs Farm has evolved into a charming lodge that has retained the atmosphere of a working farm and the mystique of an era. Lunch is a huge buffet with fresh vegetables and herbs from the gardens. There is a nature walk to a waterfall where elephant and buffalo come to drink. This luxury tented lodge built upon the Gregorian Escarpment of the Great Rift Valley, is set in a stunning location. It overlooks a spectacular panorama across Lake Manyara to Mount Losimingori and miles of seemingly untouched Africa. An idyllic resting place welcomes the safari-weary traveler to an informal private and relaxing retreat. Accommodation is in large walk–in tents built under thatched structures with good- sized wooden verandas in the front. There are some new tents being built at the moment, which promise to be excellent, with breath-taking locations, set into the edge of the rift, and with staggering views into the Kirurumu River Gorge. This is a well-run camp with an unpretentious feel, and is a great place to stay en route between Tarangire or Lake Manyara and Ngorongoro or the Serengeti National Parks. The lodge is ideally located at the heart of the Serengeti plains in order to track the migration of wildebeest. The lodge, built on “Kopjes” (rock piles) by the Seronera River, is a perfect starting point for safaris setting out to discover lions, cheetahs, elephants, and the hundreds of other animal and bird species who call the Serengeti their home. It offers 75 self-contained rooms and features a restaurant and very pleasant bar overlooking the savannah. The lodge is set high on a hill, with breathtaking vistas of sweeping grasslands and the unspoiled wilderness landscape of the Serengeti plains. Big game feed in full view of the lodge. The lodge design is simple but stunning. Inspired by a traditional African village, separate rondavel “huts” house the luxury guest rooms that have their own view of the vast Serengeti plains. A delightful water feature runs through the main public areas, creating a natural source of waterborne plants. All 66 guest rooms have private balconies with views of the Serengeti plains. The Serengeti Sopa Lodge is located in the Nyarboro Hills in the south west of the Serengeti National Park, and is the only tourism development in this section of the park. Being situated on the slopes of the hills, the Lodge offers magnificent views over the 14,763sq km (5,200sq. mile) expanse of the National Park, Tanzania’s largest wildlife conservation area. With its 75 rooms and swimming pool, the lodge offers the same comforts as Ngorongoro Sopa Lodge. It is located 35 km from the Seronera airstrip. This is a small, semi-luxury tented camp situated three km from the Ikoma Gate of the Serengeti National Park, at its northeastern border. The camp is small, comfortable and secluded. Ikoma Bush Camp has the concession for the area to operate night game drives and guided game walks — a unique experience. In addition, between May and June the annual Serengeti migration passes close by! There are ten spacious tents, all having twin beds and attached bathrooms with hot showers and flush toilets. There is an attached bar and dining room under a traditional-style thatched grass roof. Electricity and hot water is supplied by 12V solar power. There is an inverter for recharging batteries. The Ikoma area covers approximately 450 sq km, and is a buffer zone to the Park itself. Fort Ikoma is 17 km to the west and is now the headquarters of the Serengeti National Park. The camp works in close collaboration with the local villages. This luxury tented camp is set against the imposing backdrop of the western Serengeti. Situated on a hill with commanding views of endless savanna, the camp beckons you to experience the soul of the African wilderness. It is built in the remote regions of the Grumeti River and is home to a wide variety of wildlife. Guests at Kirawira Camp may be lucky to witness the magnificent spectacle of millions of wildebeest crossing the Grumeti River during their migration across the Serengeti plains. Guests enjoy the warm hospitality, high standard of personalized attention, accommodations, meals, and service. This is first class wilderness camping! Our tents are featured with writing and bedside table, hangers, carpet and cushioned camp chairs. You can choose between two twin beds or one king-sized bed. Our 10x13x7 ft. tents have private bathrooms with flush toilets, wash basins, and hot bucket showers. Lighting is by kerosene lamps and reminiscent of ‘old Africa’. The dining tent is complete with candlelight, drinking glasses, and a bar with beer and wine. The luxury camp is set in remote locations with a welcoming staff to provide guests with attentive service. Built as a ‘low profile’ structure, this lodge is nestled into a wooded hillside valley overlooking Tarangire Hill. It has wall-to-wall carpeting, a private lounge with a mini- bar, a bedroom with two queen-size beds, an en suite bathroom with shaver sockets and hair dryer, and a private verandah which offers stunning views over the baobab studded landscape. The unique swimming pool, which is located at the edge of a rocky gorge, has its own bar and snack kitchen and offers a refreshing interlude between game drives. A luxury safari lodge located on the eastern border of Tarangire National Park, just two hours from Arusha. It is famous for its renowned treehouse architecture. Most people travel around this northern park of Tanzania by Land Rover, and Tarangire Treetops is a wonderful place to stay either at the beginning or end of such a trip. Tarangire River camp is a semi-permanent luxury tented camp overlooking the Tarangire River, offering stunning views of the meandering river, the vast plains across the park, Lake Manyara, the Rift Valley and the Ngorongoro Highlands. Mt. Meru and Kilimanjaro are easily viewed from each tent. Ten spacious luxury tents are complete with running water, including attached toilet and hot water showers. 22V solar power is available 24 hours a day. Delicious meals with attentive service are served in the mess tent under a majestic Baobab. The luxury camp is about 3.5 km from the main gate of Tarangire National Park. It provides close access to premier wildlife viewing areas of the park. Additional activities include tribal visits with Datoga and Bush, and walks in areas of the park are offered as well as the traditional game drives. Set in two historic seafront buildings that have been masterfully restored, the Inn exploits its grandstand view of the Indian Ocean from every angle and every room. The beautiful decorated interiors echo the rich Arabian influences as well as indigenous east Africa roots. All 51 guest rooms are fully air conditioned, especially comfortable and elegantly furnished. There is a restaurant at the seafront, a bar and a spacious and secluded swimming pool. The hotel has conference facilities and can host up to 40 participants. Dining is a feast of variety: local seafood is a specialty and its preparation reflects the many cultural influences that passed this way. The Tembo House is an old-fashioned and friendly hotel, surrounded by historic buildings on the seafront in historic Stone Town. The hotel, converted from a 19th Century building, has two wings — one decorated in typical Zanzibar style and the other in modern Western style. The hotel has a spacious lounge facing the Indian Ocean. The swimming pool allows you to cool off during the heat of the day. All rooms are spacious and beautifully decorated with oriental and traditional Zanzibar decorations and furniture. First- class facilities include air conditioning, mini-bar, telephone, multi-channel television and en suite bathroom. In the Zanzibar wing, some of the rooms have stone baths and intricate Arabic carvings. Note that the hotel is Arabic-owned and does not sell any alcoholic drink, but there are plenty of bars and restaurants nearby, if you wish. This exclusive hotel, in the heart of historic Stone Town, gives you a feeling of how Sultans lived centuries ago. The former Sultans’ Palace, it has been restored to its former glory with an atmosphere of Arabian Nights. It has beautifully decorated rooms, all with individual decors and full of character. Most rooms have a large stone bathtub for an extraordinary bathing experience. Our special tip for honeymooners! The hotel offers delicious food in its famous romantic Tower Top Restaurant, with lighter meals available in the ground floor restaurant. The Tower Top Restaurant is open on all sides and offers superb views over the Stone Town and the harbor. Enjoy romantic dinners while a traditional ‘kombo’ is playing Zanzibari beats. This outstanding beach hotel is located only a few kilometers from Zanzibar’s historic Stone Town. Situated directly on the beach, visitors can explore the culture of Stone Town while staying in a comfortable beach hotel consisting of 55 Standard Rooms, 13 Ocean View Chalets and two Suites. The complex faces the Indian Ocean, with an adjoining beach. It is close to the airport, seaport, city center (Stone Town), shopping, and government offices. The two large and spacious restaurants, the Spice Restaurant and the Baobab, overlook the pool, lawns and the Ocean. The Discovery Bar and Aqua Bar serve Domestic and International Beers and Spirits. A mini- bar can be provided on request.